In the summer (remember those lovely long days?) 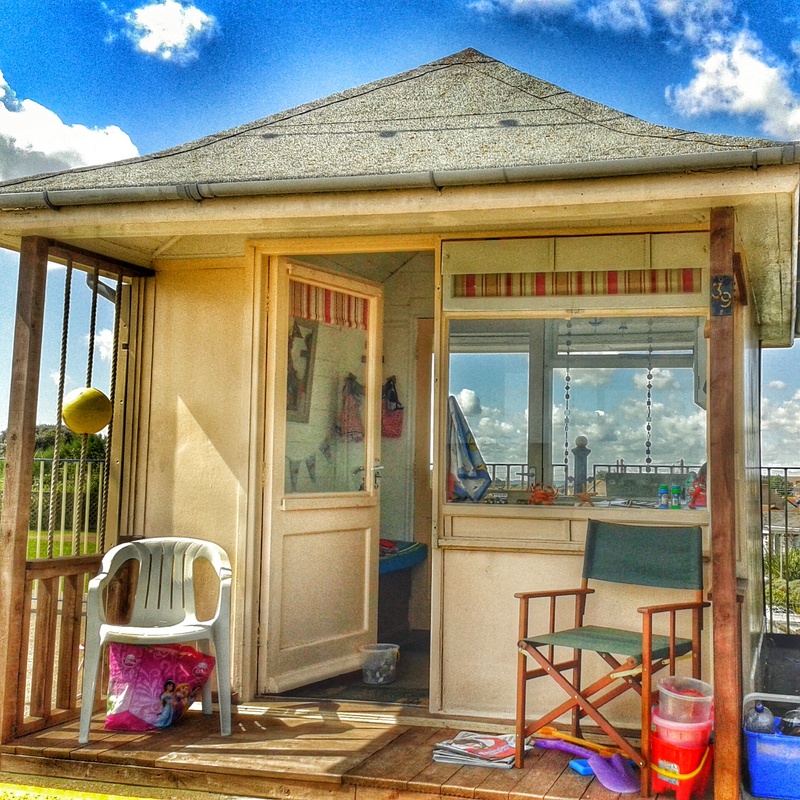 we splashed out on a beach hut. It may possibly have been the best thing we have done since our daughters came to live with us. We’ve had glorious sand-between-our-toes-ice-cream-licking-sand-castle-building-paddling-days. The girls love it. It means freedom for Bubble to run, and dig, and splash. And Squeak loves paddling and cleaning the windows! In the week before a new school, being at the hut helped Bubble put her anxieties on the back burner for a while. She bubbled, but she didn’t rage. And the night before school started, she cried, she sobbed, and she told us her fears. A major break-through. The girls’ sisters met us at the hut a few times in the holidays, and they enjoyed big picnics and lots of sisterly shenanigans. Bubble and Squeak’s happy books are full of photos of them all, happily munching ice-cream, snuggled under a big beach towel. Being at the seaside is helping Bubble learn how to play with others, take turns, and look after her things. Squeak’s learnt how to throw and catch, and look where she’s going! They’ve played with other children and they’ve made friends. We’ve had fun and laughter, and we’re creating lots of lovely family memories. Slowly, slowly, we’re building a family unit, bonded with love, and our beach hut is helping us do that.